During many child custody cases, it will be necessary for parents to also determine the amount of child support that the noncustodial parent will be required to pay. The amount of support that must be paid is calculated using formulas that are present in the statutes in both Texas and West Virginia. You need an experienced attorney on your side to guide you through this process. 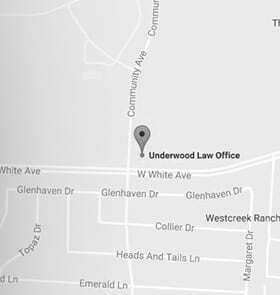 At Underwood Law Offices, with locations in McKinney, Texas, and Huntington, West Virginia, our legal team is ready to take on your child support concerns. We understand that you have questions about the support that may be awarded in your case, and we are here to explain the process to you. We help you know more about what to expect, and we work hard to help you get the results you need in your support case. The difficulty in these cases often arises when one parent tries to hide or conceal income from the support calculations. Our lawyers know how to identify certain factors that may indicate income is not being reported properly, and will take steps to ensure that an accurate accounting takes place when support is being determined. Do not try to handle your custody case without consulting an experienced family law attorney. If you want to learn more about how we can help with your child support case, please call our toll-free number 844.UNDERWOOD (844.863.3796) or send us an email for a free consultation. Se habla español.